Reusing syringes and needles can have serious health effects. These print executions by McCann Health use smart illustrations to show just how deadly this can be by contrasting needle reuse deaths with other known killers. This entry was posted in Illustration and tagged Illustration, print, Safepoint on December 31, 2015 by stellenboschacademy. This work by BWMDentsu in Australia is a great answer to that client’s problem. Using beautiful paper cut out effects, this print campaign brings in imagery of clouds and some really witty copy that plays on some of the feelings and myths surrounding cannabis in society. 10/10. It doesn’t get better than this! This entry was posted in Design, Illustration and tagged BWMDentsu, print, Whakamana on December 30, 2015 by stellenboschacademy. The character design by Mortierbrigade for this film for the Belgian National Lottery is just too exquisite. It helps too that it keeps with the Christmas theme we’re going for right now. It’s plain to see that this ad was made with love – the visual effects and the attention to detail on each character is amazing. This entry was posted in Art Direction, Illustration and tagged Belgian National Lottery, MortierBrigade, Stopmotion on December 28, 2015 by stellenboschacademy. Merry Christmas everyone! If you’re on the blog today, it’s only fitting that we’re sharing a Christmas ad and this one from John Lewis is as Christmassy and emotional as they get. Wishing you a lovely Christmas (if that’s what you celebrate) and a lovely holiday season (if Christmas isn’t your thing) from everyone at the Academy! This entry was posted in Art Direction and tagged Art Direction, Christmas, John Lewis on December 25, 2015 by stellenboschacademy. Dollar Shave Club are a new(ish) startup from the States that produce cheap razors and men’s toiletries that are sold on a subscription model. They’ve gone from strength to strength over the last few years and have really exploded in terms of revenue and brand recognition. The one thing that always set them apart though, was their no-frills approach to advertising. Their launch video (which you can see below) was a simple explainer for the business, but because it was so much fun and so honest at the same time – it helped launch an immensely powerful brand. This launch video has now been watched over 21 million times. That’s not something you can buy. That’s the power of a good creative concept. Now that Dollar Shave Club have set the bar, they need to keep on meeting it. We love this new execution that highlights the smoothness of their razors and shaving products. Meet… B.A. Loonman. It’s simple, it’s funny, it’s memorable and it was cheap to produce. Best of all, it truly shows the benefit of their products. A good idea will always shine through! This entry was posted in Art Direction and tagged Balloons, Dollar Shave Club on December 24, 2015 by stellenboschacademy. There is something about a simple story, beautifully told that hits you right in the solar plexus. This spec work for Johnnie Walker from two students in Germany, Dorian and Daniel, who study at the Filmakademie Baden-Wuerttemburg in Germany is absolutely breathtaking. It tells a 90 second story that will have even the hardest among you feeling goosebumps by the end. If this is the level of work that can be produced by students, we cannot wait to see what will become of Dorian and Daniel further on in their careers! This entry was posted in Art Direction and tagged Art Direction, Dorian and Daniel on December 23, 2015 by stellenboschacademy. It’s a special time of year when Time Magazine’s Top 100 Pictures come out and we’re so happy to share just a few of them with you. These powerful, arresting images show us just how important photography is as a medium of record – highlighting the good (and bad) of our world so that we can bear witness. There are some incredibly powerful images here and we do suggest you take the time to get a visual idea of just what happened in 2015. Check out the full list of 100 pictures here. ARTEMIVSK, UKRAINE – FEBRUARY 15: Ukrainian soldiers conduct operations along the road leading to the embattled town of Debaltseve on February 15, 2015. A ceasefire began at midnight between Pro-Russian Separatists and the Ukrainian forces brokered by the EU, Russia and Ukraine. Debaltseve has become the focal point with reportedly 8000 Ukrainian forces trapped in a bottleneck inside the city. SAN SALVADOR, EL SALVADOR, 11.06.2015: A cell inmate in the district of Soyapango where police just conducted a night raid in search of Mara Salvatrucha members. Alleged gang members are handcuffed, identified then put into the barltolina, an overcrowded temporary cell at police headquarters. Cells that should house 40 inmates end up housing double that. Cells are divided according to gangs, 18th Street, Mara Salvatrucha, 18th Street Revolucionario. All inmates in the bartolinas are awaiting conviction and most complain of being held for up to 2 years without trail. 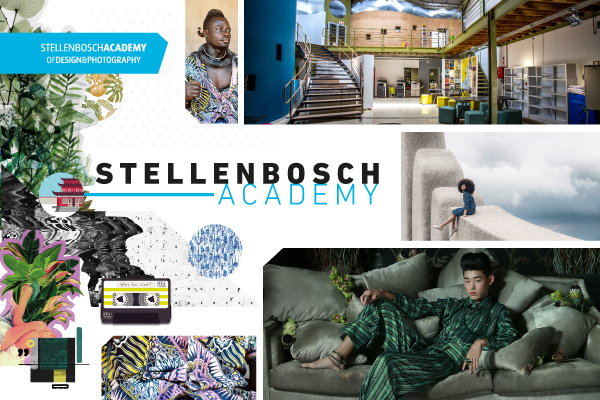 This entry was posted in Photography on December 21, 2015 by stellenboschacademy.